Over the years there have been so many organic changes and developments in Top Buttons...sometimes it is an exciting change and other times, scary. But over and over again I am amazed by how things fall into place as we pursue God's plan for Top Buttons. Is it funny to talk about God’s leading in fashion? First of all, if you know Top Buttons, you know we exist to build up young women in light of God’s perfect design for them. It’s much more than just fashion. But Like FCA uses sports to connect, equip, and inspire, Top Buttons uses fashion to do the same. 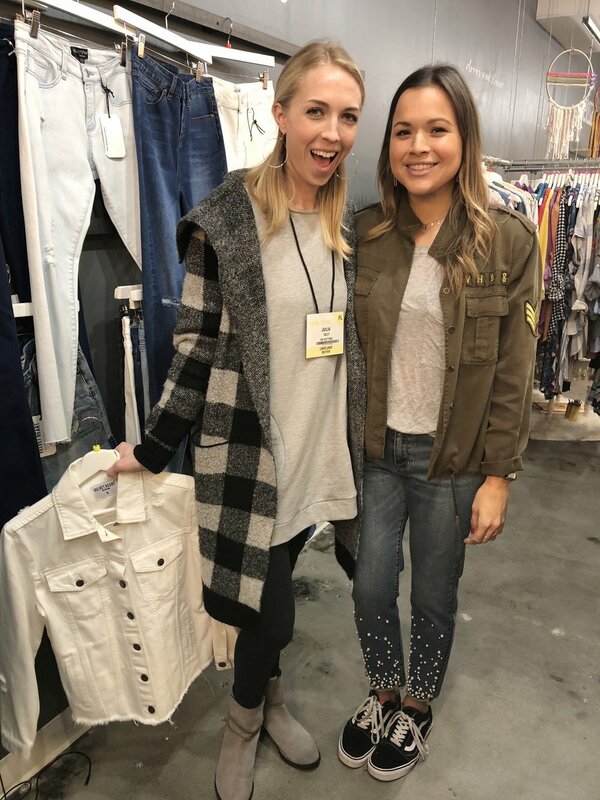 A few of us on the Top Buttons team went to the Apparel Market in Atlanta last week and are excited to share with you that we are now going to offer new items, along with designer thrift clothing in our boutiques. The new items will be for our Wearing Confidence Program girls and to customers who shop to support our cause. Buying wholesale, we can get greatly needed clothing items for our girls that are difficult to supply through donated items alone, and we’re able to get them at a cheaper price point. On several occasions while servicing groups of girls, we have found that pants in particular can be the most difficult to outfit the girls with. As we women know, it helps to have a selection of different styles, in different sizes, when shopping for just the right pair of pants we can walk out of the store feeling confident in! We want to make sure the girls we serve have that same experience. It has also been a goal of ours for some time to be able to provide leggings for the girls we serve as some dresses might fit them just right, but be a bit on the shorter side - a problem that can be easily fixed with leggings! Though leggings are not for work, the girls we serve need every day and casual attire too. During our time in Atlanta, we found the perfect leggings for any and all of our girls available for purchase at a wholesale cost. Problem solved! Our girls are in need of proper fitting undergarments too and we will definitely not give them used undergarments! It will be great to work towards having new items of need on-hand and ready to provide. 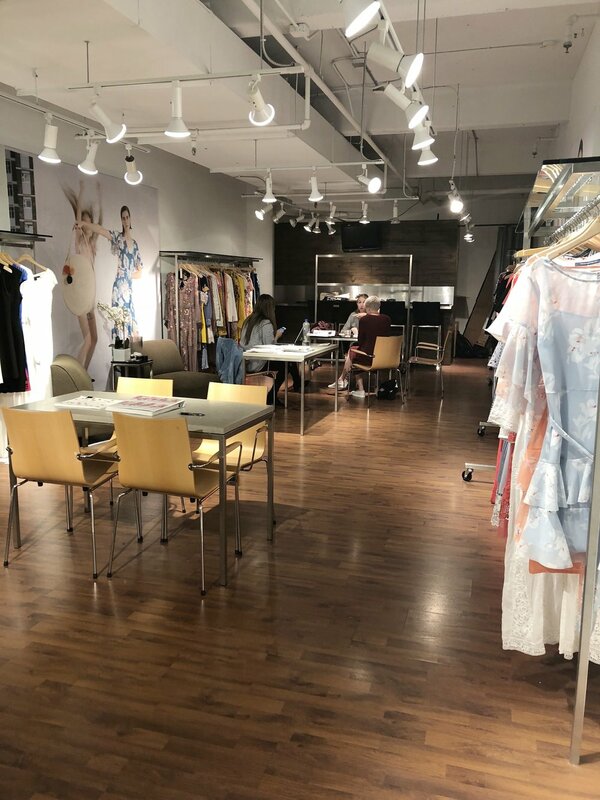 While at market we connected with high-end and mid-range quality clothing and accessory brands. As we shared the Top Buttons mission with them, both brand owners and reps were excited and anxious to help us with our efforts. We can’t wait to share about the brands we will be carrying in our Boutiques! You won’t need to drive to another city to obtain special occasion dresses, every day, or professional attire. You truly will be able to “shop and give” with every purchase at our boutiques. Thank you for supporting our mission to build self-worth in young women through mentorship, education and fashion.